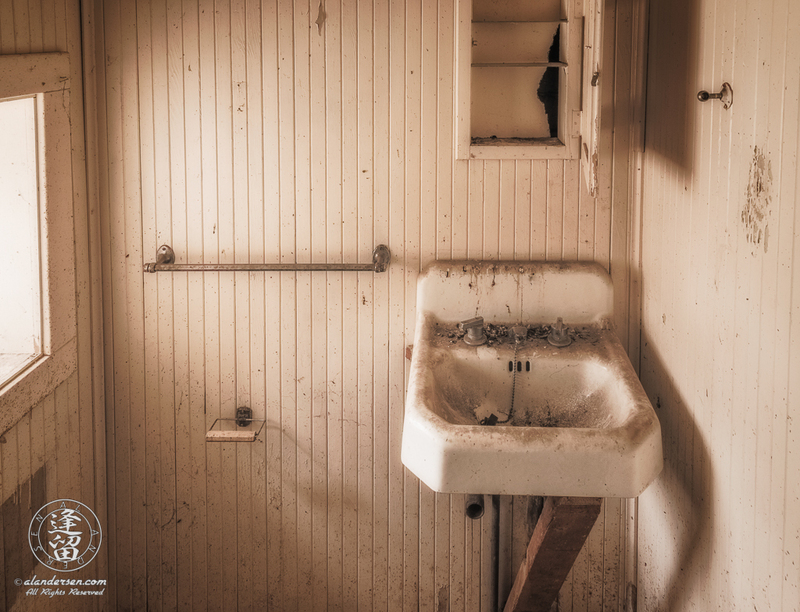 The small bathroom off the front room at the Camp Rucker ranch house in Arizona. It's very cramped in here, with just enough room for a toilet and a sink. There is no shower or tub.